The dimensions are W 315mm x D 420mm x H 90mm. 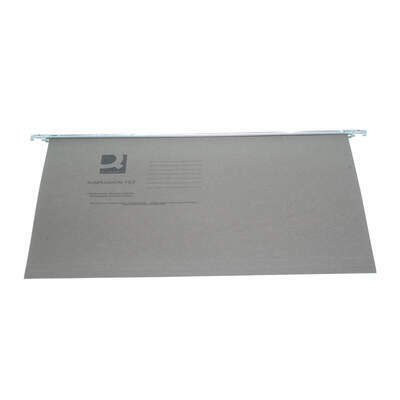 Suitable for your organisational needs in business, our Suspension File Foolscap 50pk works within your budget. Each one has been manufactured from a durable cardboard with hardwearing manila ruggings to support them within your filing system. The folded design allows them to hold important documents in a neat and professional manner while allowing for full access when this information is needed. Snap-on plastic tabs can be used for heightened identification - ideal for large and busy filing environments. Here at Gompels, we have a wide range of Stationery Supplies to support your business. From Desk Accessories and Pens & Pencils, we're confident that we have the perfect product for your business right here for an exceptional wholesale price.